1.Spread Between Growth and Value Stocks Hits 1999 Bubble Levels. 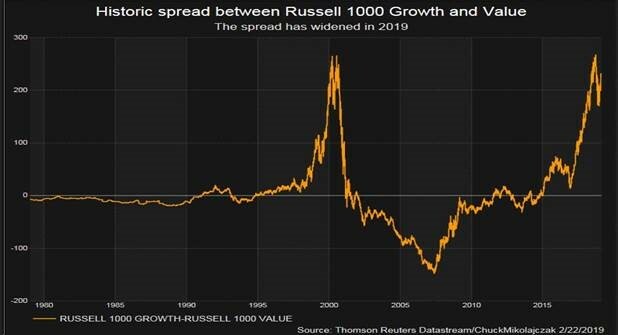 Russell 1000 Growth vs. Russell 1000 Value. 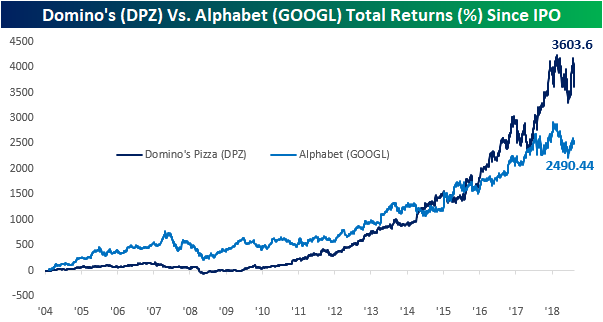 If you were sent back in time to 2004 and had the choice to buy Domino’s Pizza (DPZ) or Alphabet (GOOGL) at their IPO, which would have been the better choice? Due to the epic size and influence of its business, impulse would probably have you choose Alphabet. But DPZ has actually seen significantly better returns than GOOGL since the companies’ IPO dates. Since inception, DPZ has seen a total return of 3,604% even after today’s 9.03% decline in the stock in reaction to an earnings miss this morning. Not that GOOGL’s 2,490% return is something to turn your nose at, but it is dwarfed by DPZ’s returns. 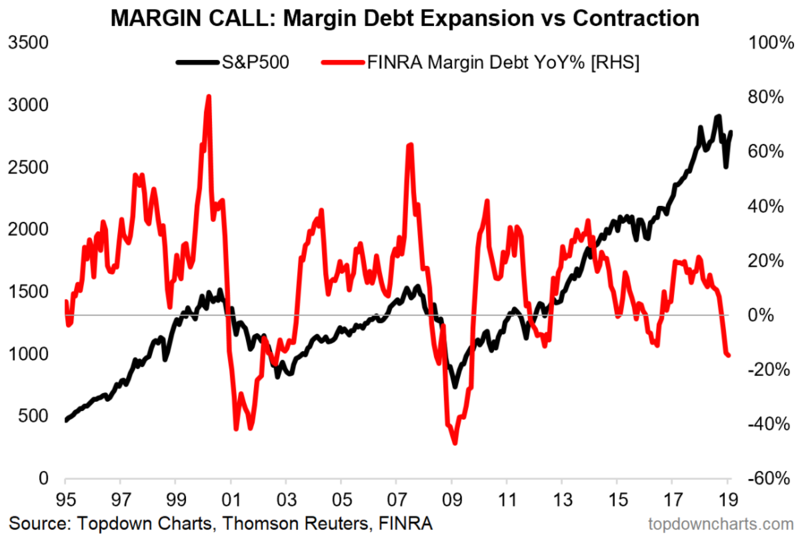 For the stocks’ first decade, up until 2014, this was not the case though. GOOGL had actually outperformed DPZ for much of their lifespans as public companies. From then up until early 2016, the two stocks alternated between being the leader, but in the last two years, Domino’s ran away with things. Part of the reason for this is DPZ has fairly consistently paid a dividend since 2004 which is why returns for the stock have been considerably better over the long term. 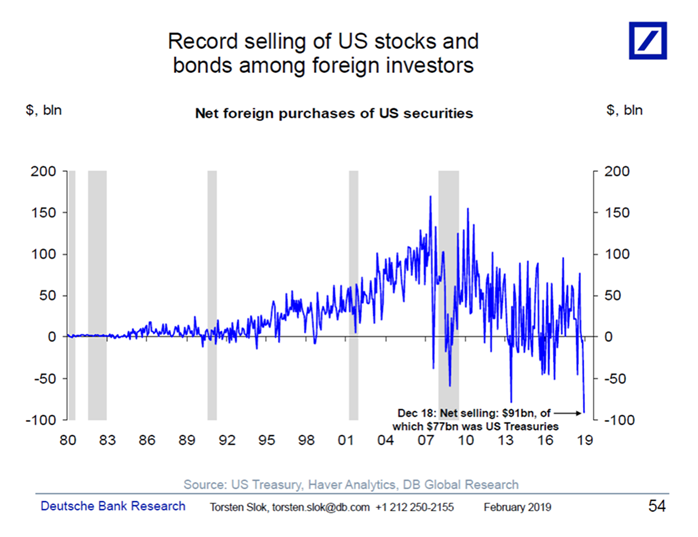 In December foreigners sold a record $91bn in US stocks and bonds, see chart below. Roughly 85% of this amount, or $77bn, was the rest of the world selling US Treasuries. 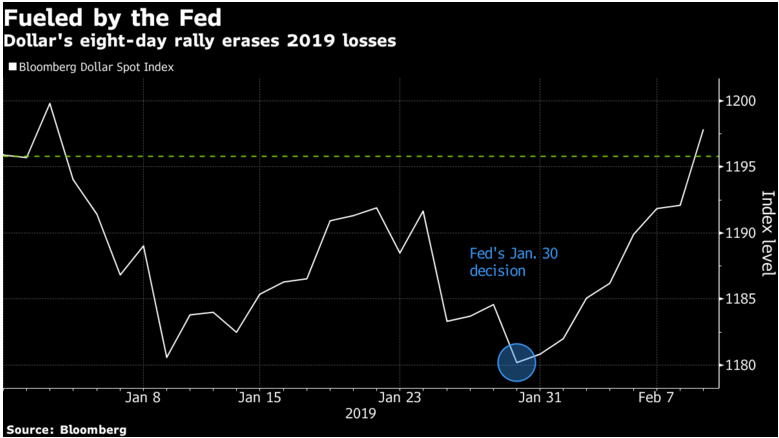 Despite this significant upward pressure on US rates during the stock market rout in December 10-year rates still went from 3.20% in November to 2.60% in early January. 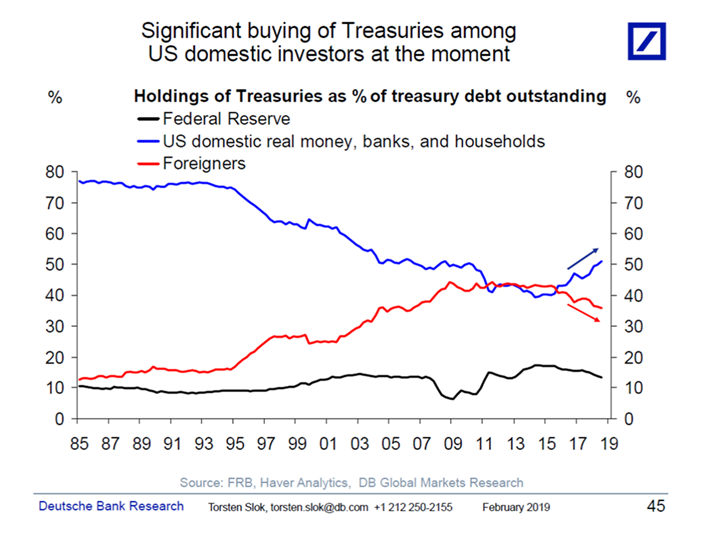 This reveals how strong the domestic bid is from pension funds and banks for US Treasuries at the moment, see also the second chart below. 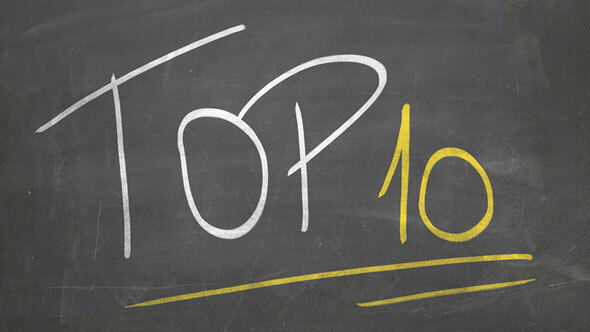 For more on the rates outlook see also our latest Fixed Income Weekly here. 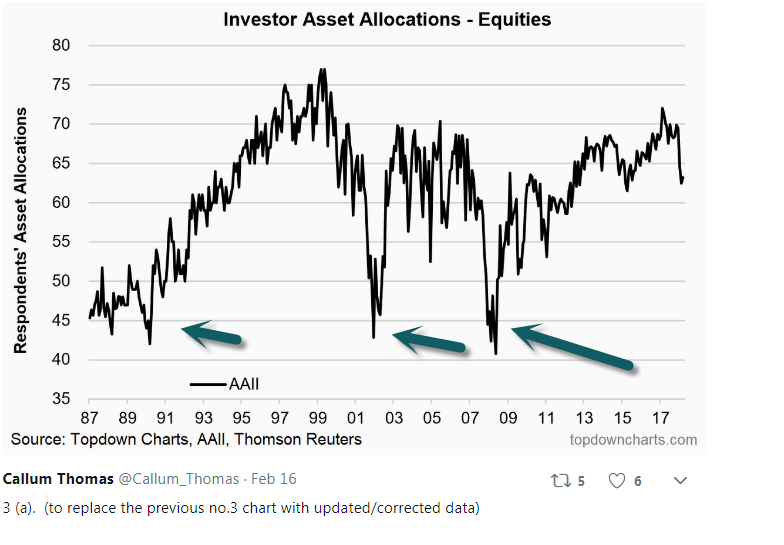 See arrows investors selling when they should be buying.